Vika Bull is simply outstanding in her performance of Etta's songs. Add to her sublime vocals a group of very talented musicians and together you have a tribute of the highest calibre to one of the greatets singers of the twentieth century. I left the venue feeling that I'd experienced something truly special. Vika Bull has always been one of my favourite singers and I've never felt she has received the attention she deserves. From singing a guide vocal many years ago on 'Locomotion' to help out a young TV starlet named Kylie Minogue, to years of being the world's greatest backing vocalist (with her equally extraordinary sister Linda), FINALLY here is a vehicle to bring her powerhouse voice to a wider audience. NO-one else could bring Etta to life like Vika. Think you can prove me wrong? Knock yourself out - I'll personally refund your ticket if you can find a better vocalist for this role. I was absolutely amazed by this show , Can't be put int words the talented voice of Vika Bull. Infact it was so good i went back a second time . I am English and now reside in Australia. I would go and see it for a third time. Vika has such a soulful voice and is the right person to take on this role. As for the back up musicians they are fantastic. So go and see it , you will not be disapointed. Can't pick a favourite moment as it was all so good. Vika Bull singing Etta James - a match made in heaven. My partner and I have been to see the show twice and were blown away each time. Took my mother and sister the second time and they became instant Vika fans, The band is also fantastic. Dancing in our seats and in awe of the performance. We have seen the show twice now. Both times at the Sydney Opera House. The second time we brought a crowd of friends who enjoyed it as much as we did. If you have a chance to see this show you won't be disappointed. Vika Bull is so amazing. 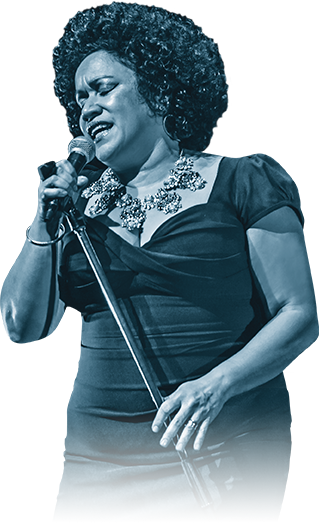 Powerful renditions of Etta, some emotional and some so fabulous you will want to get up and dance! We have the album and when we play it at home the whole experience comes back instantly. So good! Not to be missed. Too many to choose, but the song 'At Last' is a show stopper. I recently attended this show in Brisbane Australia, I had seen it previously about 18 months ago. This show is fantastic in its simplicity. Great voice, great musicians just sit back and enjoy, if you don't feel like dancing, I would be surprised. Vikka is an unassuming gracious lady, I wish her and support people best wishes. his is an amazing show ....... if you love etta james, if you love singing, if you love music you MUST see this show ! 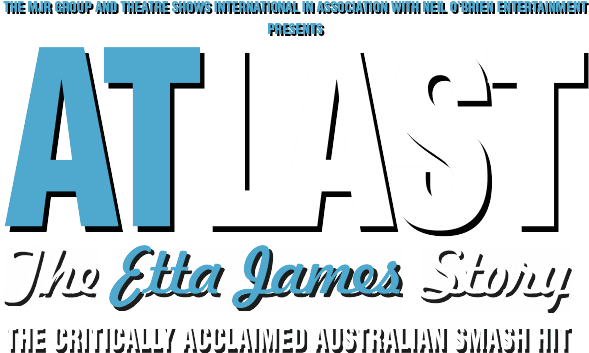 when vika bull sings "at last," when vika bull talks the stories of etta's life you will be soooooo moved !! when the band performs you will be so glad you came !! !